Sometimes things just need to be cute. And tasty. To be honest, most of the time just tasty will suffice. But then you'll come across some especially adorable cupcake wrappers, think of how cute they'd be for a birthday, then realize you've forgotten your own blog's birthday, like the worst blog parent ever. So, blog, I'm sorry. It's been three crazy years, and I still love you like yesterday. Don't let these cupcakes fool you though - they aren't nearly as sickly sweet as they look. 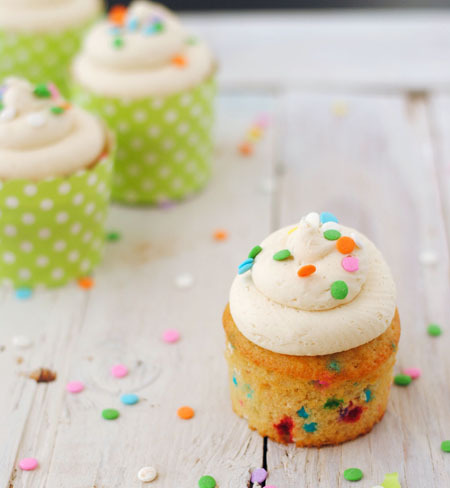 The cupcake is moist with a perfect crumb, tasting of vanilla instead of just sugar. 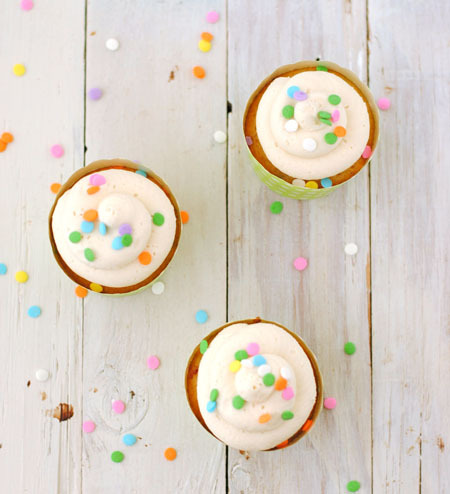 The sprinkles add a little bit of whimsy, and paired with a classic buttercream, it's absolute heaven. But don't just take my word for it, make them for yourself and have your very own celebration! 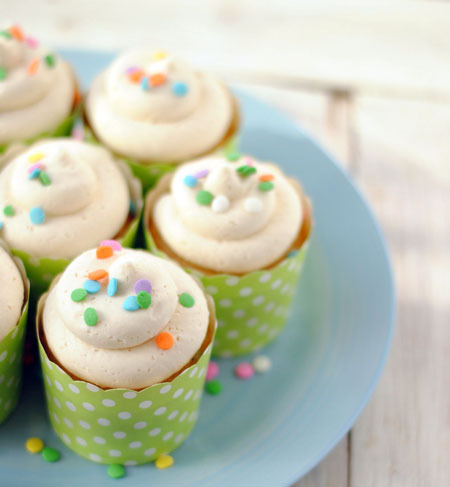 Preheat oven to 350F, and prepare your cupcake pan by greasing or lining with wrappers. In the bowl of a stand mixer, beat the eggs, oil, sugar, and vanilla and vanilla bean seeds, until lighter in colour. Reduce speed, and add half the flour mixture. Beat on medium until just combined, then pour in buttermilk. Beat again until just combined, then mix in remaining flour mixture. Scrap down the sides of the bowl, then fold in the sprinkles. Scoop batter into the prepared cupcake pan, filling about 2/3 full. Bake for 13-15 minutes, until a toothpick inserted in the middle comes out clean. Allow to cool then frost with buttercream.